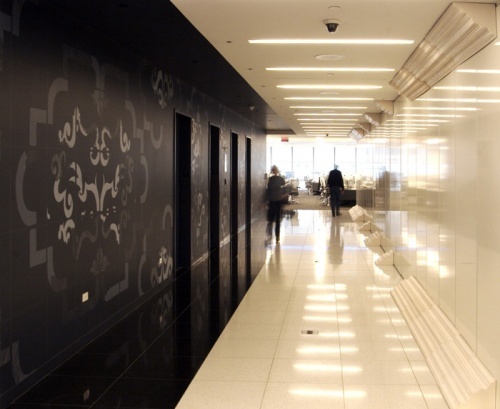 Commissioned by Art in General for the offices of Bloomberg LP, this installation inverted and embellished a stark hallway. 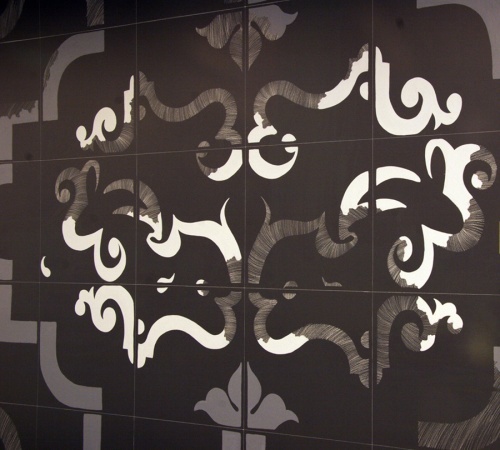 With the addition of a mural and architectural moulding running along the walls of the space, the space appeared turned on its side. 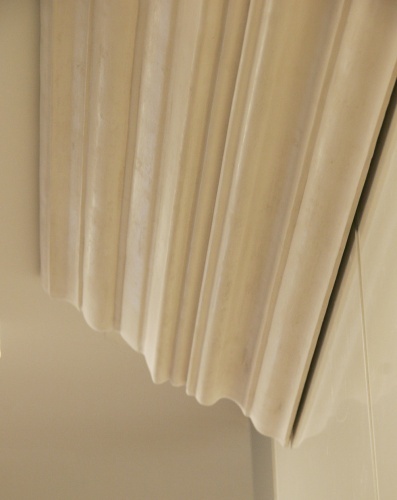 Anthropomorphic forms were hidden within the architectural ornamentation, further animating the hallway.